Direct recruitment to the post of IB Security Assistant (Executive) in the following Subsidiary Intelligence Bureaux, Ministry of Home Affairs, Govt. of India. 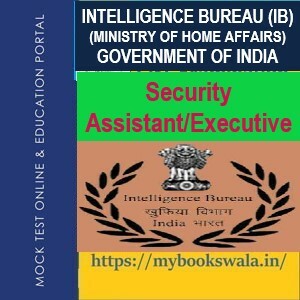 MHA has released IB recruitment 2018-19 notification for 1054 vacancies of Security Assistant/Executive in Intelligence Bureau department.Online applications are invited from Indian nationals for direct recruitment to the post of Security Assistant (Executive) in the following Subsidiary Intelligence Bureaux, Ministry of Home Affairs, Govt. of India. · Total Vacancies issued are 1054.